Extremely low doses of the cannabis compound delta-9-tetrahydrocannabinol (THC) may slow or even halt entirely the progression of Alzheimer’s disease, a new study from neuroscientists at the University of South Florida (USF) shows. 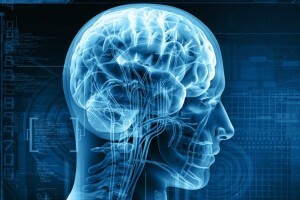 Findings from the research were reported online in the Journal of Alzheimer’s Disease. 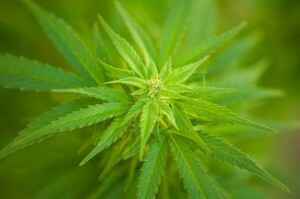 For the study, researchers from the USF Health Byrd Alzheimer’s Institute showed that extremely low doses of THC reduced the production of amyloid beta (which is found in a soluble form in most aging brains), and prevented abnormal accumulation of this protein – a process considered to be one of the pathological hallmarks in Alzheimer’s disease. The THC was also found to selectively enhance mitochondrial function, which is needed to help supply energy, transmit signals, and maintain a healthy brain. A study published earlier this month by the National Institute of Health also found THC to be a potential treatment option for Alzheimer’s disease, though it found that combining THC with another cannabis compound cannabidiol (CBD) was even more effective. The post New Study: THC May Slow, Halt Progression of Alzheimer’s Disease appeared first on The Joint Blog. As of Wednesday, adults in Uruguay wanting to grow their own cannabis at home are legally authorized to do so once they register with the government, as part of the nation’s new cannabis legalization law. 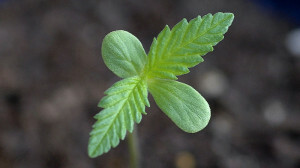 Under the new law, which took effect in May, those in Uruguay who are 18 and older can register to grow up to six cannabis plants at a private residence, with an allowed annual harvest of up to 480 grams. Although few people registered on opening day, Juan Vaz, a local cannabis activist, says he was able to register quite easily, and that he believes it will take a while before the fear of being prosecuted for cannabis cultivation subsides. Starting next year cannabis will be sold through pharmacies, and cannabis clubs are expected to open by year’s end. The post Uruguayans Can Now Grow Cannabis Legally At Home appeared first on The Joint Blog. The Sante Fe City Council has voted in favor of decriminalizing the possession of small amounts of cannabis after activists submitted enough signatures to put the issue to a vote this November. Earlier this month the Sante Fe City Clerk verified that 5,754 valid signatures were submitted to put an initiative to decriminalize cannabis to a vote of the people, more than the 5,673 required. This sent the proposal to the City Council, which had the option of putting the proposal on the November ballot, or simply passing it into law; they chose the latter with a 5 to 4 vote. Under the new law, which takes effect after 30 days, the possession of up to an ounce of cannabis will no longer carry with it the potential of jail time under city law, and instead will be a small ticket. The initiative is sponsored by ProgressNow NM and Drug Policy Action. On August 19th, the City Council of Albuquerque, New Mexico voted to put a similar measure to a vote of the people this November. The post Sante Fe City Council Passes Proposal to Decriminalize Cannabis, Takes Effect Next Month appeared first on The Joint Blog. People in Uruguay who want to grow their own marijuana at home were able to register to do so Wednesday as the government launched the latest phase in its first-of-its-kind legalization program. The post Uruguayans can now sign up to grow their own at home appeared first on The Cannabist. Boulder’s Onno Textiles is a response to the global toll from traditional cotton farming and makes sturdy hemp t-shirts in a blend with organic cotton. The post Gone Hemp: Onno Textiles offers Earth-friendly T-shirts (review) appeared first on The Cannabist.